Simply unbeatable gaming on the go. What is the point of a tablet if you cannot get content?. Dual-band WiFi (802.11 a/b/g/n). Android 4.2 (Jelly Bean). The center of balance is engineered to reduce fatigue. 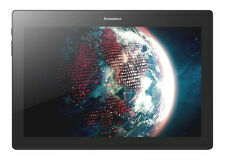 1.3GHz Qualcomm Snapdragon qualcomm snapdragon apq8009 quad core processor. Internal storage capacity 16GB. Built-in speaker. Wi-Fi enabled. Bluetooth - enabling you to easily and wirelessly connect with other Bluetooth enabled devices. Model: Lenovo Yoga Tablet 2. Product Family: Yoga. Storage: 16GB., 1000% Happy With Item. Colour: Silver. Happy to buy from again - 30thdegree. Item Details. Screen Size: 10.1”. The tablet is a device that most families share, and the Tab4 has been engineered with this in mind. Weighing just over 500g and at under 1cm thick, the Tab 4 is a tablet to be enjoyed by users of all ages. FOR SALE: Nexus 7 - 1st Generation - 16GB. Great choice for any user. This Nexus is a must have for anyone! Good luck! Poor condition. This may include dents/scratches/finish wearing off. Great condition, no obvious signs of wear upon inspection! The units carry a 3 Months Warranty for Peace of Mind. Box contents: ASUS ZenPad Z300M 10.1" Tablet. Android 6.0 (Marshmallow). Colour: Dark Grey. Type: Tablet. Battery life: Up to 11 hours. microSD card slot. 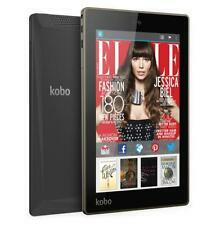 New listingAlba 10 Inch 1.3GHz 16GB 1GB Android WiFi Tablet - Black. To boredom and hi! Internal storage capacity 16GB. Up to 6 hours battery life (depending on usage). With Wi-Fi and HDMI port connectivity, you're free to plug in to the TV and surf the internet wirelessly. 16GB - Wi-Fi Only. 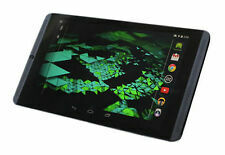 10.1" Black Android Tablet. Samsung Galaxy Tab 4. Fully Working & Factory Reset Ready For New User. The nabi Big Tab is a useful device driven by a robust 1.9 GHz processor and running on Android platform. Its weight is 8.25 lbs. The product is available in silver. Model: nabi Big Tab 20. Storage Capacity: 16 GB. 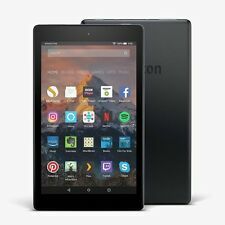 Amazon Fire 7 Tablet - 16GB - Alexa - Black. Be entertained: Whether you’re looking for your favourite playlist or need a quick joke, you can ask Alexa. Just press and ask for a song, artist or genre, and stream directly over Wi-Fi. Samsung Galaxy Note GT-N8010 16GB, Wi-Fi, 10.1in - White, excellent condition. Condition is Used. No scratches on screen, none to barely visible scratches elsewhere, kept very clean and tidy. With Samsung charger, leather case, original protective film on screen (only removed to take photos, reset to factory condition. Dispatched with Royal Mail 1st Class. Box includes: Samsung GALAXY Note GT-N8010 16GB - White USB Cable Dimensions: 243.1 x 171.4 x 7.9 mm Weight: 540 g Displaysize: 10.1" 2560 x 1600 pixel Displaytype: Super clear LCD capacitive touchscreen, 16M color Memory int. : 16 GB Card slot: yes up to 64 GB Keypad: full touch Datatransfer: x Connectivity: Bluetooth, Wi-Fi 4G Features: Geo-tagging, face and smile detection CPU: Quad-core 1.9 GHz 1.3 Quad Core Processor Camera: 8 MP AF 2MP VT Camera Oper.System: Android OS, v4.3 (Jelly Bean) Stand-by: max. 2230 h Talk time: max. 10 h (Multimedia). 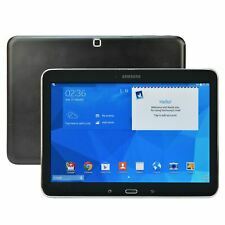 Samsung Galaxy Tab Pro SM-T320. Phone only no accessories. New listingNVIDIA SHIELD K1 16GB, Wi-Fi, 8in - EXCELLENT CONDITION! Excellent condition with no marks or scratches on screen or case and works perfectly. 5 out of 5 stars - NVIDIA SHIELD K1 16GB, Wi-Fi, 8in - EXCELLENT CONDITION! 22 product ratings22 product ratings - NVIDIA SHIELD K1 16GB, Wi-Fi, 8in - EXCELLENT CONDITION! Huawei MediaPad T3, 8 inch, 16GB, Grey, Excellent Condition, Boxed. Huawei MediaPad T3, 8 inch, 16GB, Grey, Unlocked, Excellent Condition, Boxed, No Visible mark, 2 Months old only. UK BIDDERS ONLY PLEASE. 5 out of 5 stars - Huawei MediaPad T3, 8 inch, 16GB, Grey, Excellent Condition, Boxed. 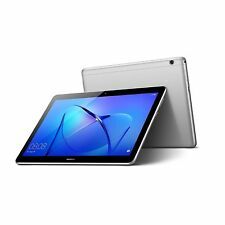 11 product ratings11 product ratings - Huawei MediaPad T3, 8 inch, 16GB, Grey, Excellent Condition, Boxed. BQ Aquaris M10 FHD (Ubuntu Edition). Condition is Used. Dispatched with Royal Mail 1st Class. There are a few minor marks on it, see the pics, but it's in perfect working order and rooted. There is a very small bit of dust under the screen, but it is very small and doesn't effect the use of it. Tesco Hudl 2 16GB, Wi-Fi. Condition is Used. Enjoy a great visual experience with the Lenovo Tab4. The crystal clear HD display makes watching TV shows and movies a joy when you're on the go, as well as giving life to your photos. The tablet is a device that most families share, and the Tab4 has been engineered with this in mind. Used, in good overall condition and in full working order. 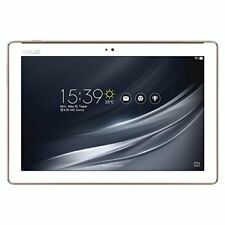 ZenPad 10 (P023) P023 @Asus. 9" XGODY T93Q Android 4.4.2 Quad Core-A33 16GB HD WiFi Tablet W/ Keyboard & Case. 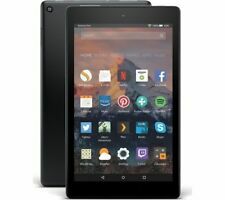 Tesco 718-1001 HUDL2 16GB Wi-Fi 8.3 inch Tablet - Black. Condition is Used. Hardly used since bought a while ago - really good condition and great little tablets this is advertised elsewhere so I reserve the right to remove it if it sells before auction Dispatched with Royal Mail 1st Class. Samsung Galaxy Tab 4 SM-T330 16GB, Wi-Fi, 8in - Black. Microsd card slot, up to 64gb. Condition is Used, minor scratches on corners, there are some scratches on the screen -see picture- and slight bit of movement on one side by the bezel, when pressed firmly on the right side the screen clicks. Tablet works perfectly. Free excellent magnetic origami case shows signs of wear but works perfectly, turns tablet on when opened. Comes with the original box (worn), plus, original lead and box. Although it sounds well used from the description, it is actually still a great tablet, very nice quality screen with good battery life. My son is happy with it but has upgraded. This is a bargain. Capacity：16GB; Expandable by MicroSD to 32GB. 7" 1 16GB Android Tablet. Wireless：Support WiFi (Built-in 802.11b/g WLAN Card),support 3G(3G Dongle is not included). Size：7" TFT LCD(16:9 Screen) Capacitive Tablet PC TFT LCD. 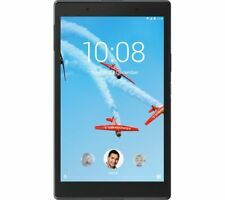 Fully working Tesco HUDL2 16GB 8.3 inch Tablet in Black. Condition is used but there are no visible scratches or marks. There is a charger & cable as comes with the normal tablet. I have also added an adaptor to connect this by HDMI to a TV, and an adaptor to connect a USB controller to the tablet. Samsung Galaxy Note GT-N8010 16GB, Wi-Fi, 10.1in - White. Condition is Used. Dispatched with Royal Mail 1st Class. Model: Xperia Z3 Tablet Compact (SGP621). 16GB capacity with microSD expansion slot. Genuine Sony product. Edges are very good with minor marks only; micro-USB port cover is working well. Device is in good/very good overall condition. 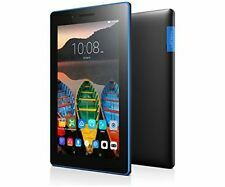 Tesco HUDL2 16GB, Wi-Fi, 8.3in - Jazzy Blue. Condition is Used. Dispatched with Royal Mail 1st Class. Excellent condition no scratches or dings. Original box and charger included. Screen is cracked. Black colour. Excellent working order. Cash on collection is also accepted from North London, Barnet, junction 24, (Potters Bar) M25.